Firefighting and Emergency Medical work is tough and demanding work. 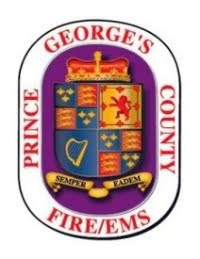 Over 2,500 career and volunteer Firefighters, Emergency Medical Technicians, and Paramedics work to keep Prince George’s County safe every day. The Fire Chief’s Community Advisory Council (CAC), on behalf of the Prince George’s County Fire/Emergency Medical Services (EMS) Department, is proud to present the inaugural edition of “Fit-4-Duty” ‘2016 PGFD Firefighter calendar’. Proceeds from this fundraising effort will support the Departments “Adopt-A-Neighborhood” (AAN) program. In addition to other Community Risk Reduction strategies, the AAN targets specific communities for smoke alarm and carbon monoxide detector installations. The single most effective thing a resident can do to improve their odds of surviving a fire, is to ensure working smoke alarms and carbon monoxide detectors are located on every level and in every sleeping area of their home. CAC President Cheryl Walker is excited to help the Fire/EMS Department fulfill its mission to make Prince George’s County a safer place. The CAC is a registered 501c3 non-profit organization, chartered to guide and assist the Fire/EMS Department’s community outreach efforts. Orders for the calendar can be placed on-line at the following link: https://www.createphotocalendars.com/Store/2016+PGFD+FIT4DUTY-9527013679 .